If you’ve been researching patio enclosures for your home in Willow Grove or King of Prussia, Pennsylvania, your search can end with SRA Home Products. We have been installing premium outdoor products since 1988, and our team of technicians consists entirely of factory-trained experts with years of industry experience. We’ve proven our commitment to providing outstanding installation services and customer care time and time again, as evidenced by the accolades we’ve earned, such as an A+ rating with the Better Business Bureau. What’s more, TEMO patio enclosures are protected by a lifetime transferrable warranty, so you can feel completely confident in making this investment in your home. 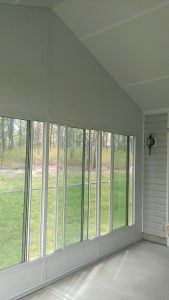 To learn more about the outstanding patio enclosures that SRA Home Products installs in Willow Grove and King of Prussia, PA, contact us today.